CHICAGO (Reuters) - Illinois faces a $3.2 billion deficit in its upcoming fiscal 2020 budget that is nearly 16 percent higher than previously projected, Governor J.B. Pritzker's administration said on Friday. A five-year fiscal forecast released by former Republican Governor Bruce Rauner's administration in November showed a $2.76 billion hole in the general funds budget for the fiscal year that begins July 1. The Democratic Pritzker administration, which took office in January, said in a report the forecast did not take into account additional money Illinois needs to spend on higher education, public safety and other areas to deliver basic services, increasing the gap to $3.2 billion. Deputy Governor Dan Hynes said Pritzker will propose a balanced fiscal 2020 budget on Feb. 20. "It will require innovative and new revenues that are realistic," he said, adding that the governor has identified legalizing recreational marijuana and sports betting as potential revenue producers in the short term and a graduated income tax in the longer term. The report took aim at Rauner for waging an "ideological war" that plunged the nation's lowest-rated state deeper into debt. "Illinois already had fiscal challenges to overcome, but the previous administration drove the state into a ditch," the report stated, warning that rebuilding a financial foundation could take more than four years. A two-year budget impasse between Rauner and Democrats who control the legislature, along with a huge unfunded pension liability and chronic structural budget deficits, led to downgrades that pushed Illinois' credit ratings to a notch or two above the junk level. 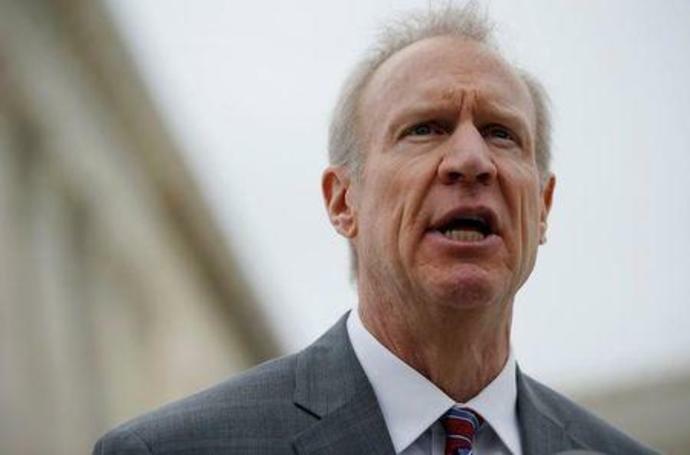 The state's unpaid bill backlog, a barometer of the budget imbalance, will likely exceed the Rauner administration's $7.82 billion forecast for the end of fiscal 2019 by $500 million, according to the report. Moody's Investors Service on Tuesday said Illinois' Baa3 rating could be impaired if the state relies on one-time revenue measures or increases its bill backlog to balance the upcoming budget. The credit rating agency also listed the state's escalating pension contributions as a top issue for the new governor. Those payments are projected to climb by 8 percent to $9.22 billion in fiscal 2020 for Illinois, which ended fiscal 2018 with a $133.5 billion unfunded pension liability. A separate transition report released by the governor on Friday said Illinois could boost pension contributions through a dedicated revenue stream, create a "sustainable" amortization schedule for payments, and negotiate a "one-price" investment management fee for its five retirement funds.